It’s another Friday Fun Foto: a sneak peak at one of the columns in our new youth peace newspaper to launch in March. Enjoy! 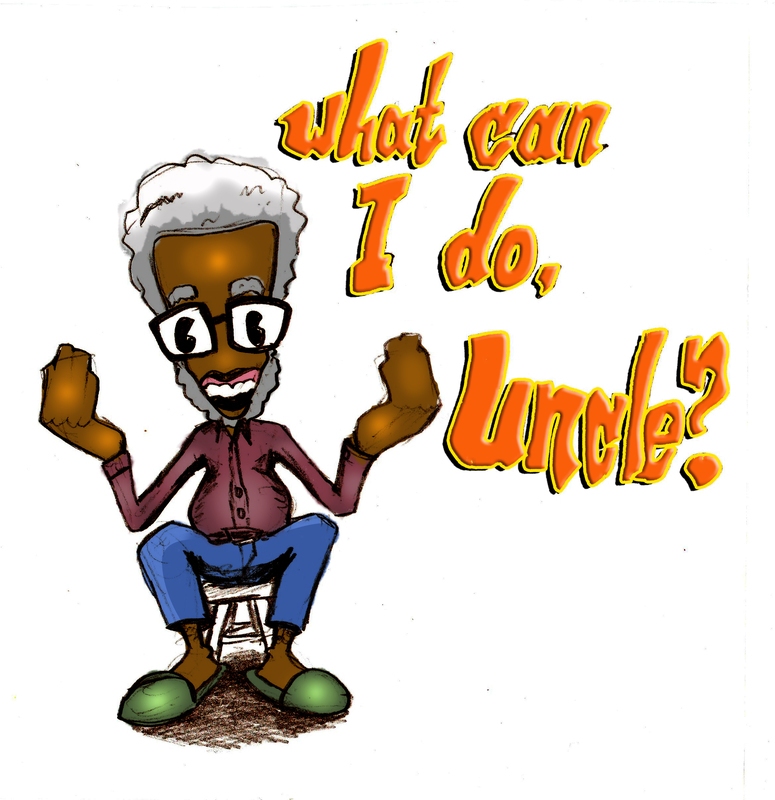 Uncle (Tonto in kinyarwanda) gives his advice to questions of love, conflict, and everything in between, in a new youth peace newspaper launching in March. It’s just one of the exciting things to burst out of peace camp and the partnership of a peace of life and AEBR Youth to empower and equip youth to be leaders in peace and development. See more about peace camp. Special thanks (and a very BIG SHOUT OUT) to the talented illustrator, Colanthony, for volunteering his amazing skills. He’s one of the featured young talent in a new book, Toronto Graffiti. Love to have you at our next peace camp! You can help make another peace camp a reality. Donate online today or contact us for more details.